Mike left school 16 in 1952 to become a general engineering apprentice at Alvis Ltd. At the same time he read Mechanical Engineering at Birmingham University. After graduating in 1955 he was the official interpreter (German and French) in the negotiations between Hermann Graber, Alvis and Willowbrook that led to the production of the TC 108G 3-litre cars. Later in 1955 he joined Ford Motor Co as one of only four graduate apprentices. During his seven years with Ford he led design teams on rigs and three different prototype cars to meet the challenge of the Mini launched in September 1959. He also worked as a stressman and obtained an MEng degree for his research in Noise and Vibration. In 1962 in the face of an offer from Ford Werke AG to move to Cologne, Alvis invited him to become Chief Engineer, Vehicle Division covering cars and military vehicles. Over the next five years he was responsible for the TE and TF21 cars and the Mark II Stalwart. In 1965 Rover took over Alvis. Work on a new Alvis 3.5 litre car, the TA30, with integral body construction was halted and instead the Alvis car team took on the Rover P6BS project. 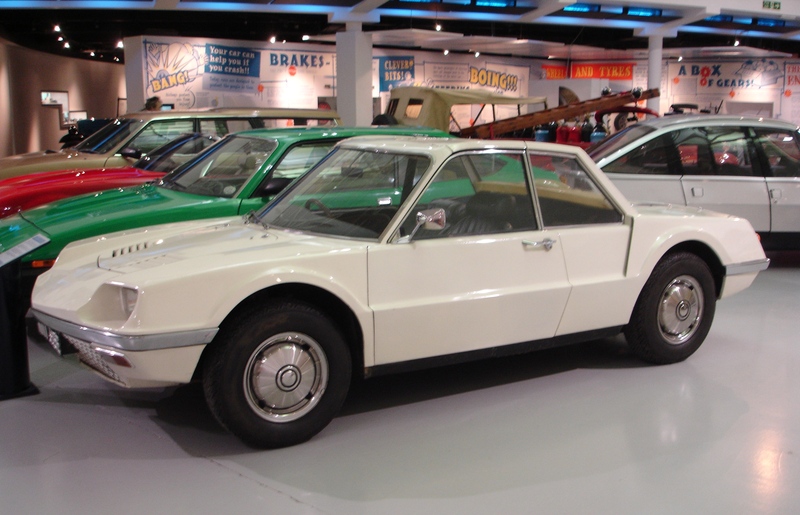 This was for a mid-engined 3-seat GT car using a tuned version of the Rover V8, originally the brainchild of Spen King and Gordon Bashford who turned their attention to the Range Rover. From first line on paper to first test drive took 7 months and 11 days. The car is in the Heritage museum. Leyland took over Rover and Alvis in 1967, the last year of TF21 manufacture, and within a few weeks Mike had moved to Leyland to convert an 8-wheeled bus concept into reality. Instead he successfully proposed a 2-axle vehicle which became the revolutionary Leyland National city bus of which production began in 1970. Other projects were gas turbine trucks running at up to 38 tons and the T45 Road Train. In 1973 Mike returned to Ford as Chief Engineer, Research but moved on via trucks based at Dunton and cars in Cologne to become the Director of Product Development for Ford of Britain and of Car Powertrain and Chassis Engineering for Ford of Europe with a team of 4,500 engineering staff. He was responsible for the concept and advanced engineering of the Sierra. Previously he led the team that produced the 38-tonne gross Transcontinental truck range and the advanced Cargo truck range. By 1983 Rolls-Royce Motors Ltd were in trouble and persuaded Mike to become their Engineering Director. He re-engineered their recently launched Silver Spirit and Mulsanne cars and added the Bentley Turbo R.
Rolls-Royce could no longer compete with the massive resources available to other luxury car manufacturers such as BMW and Mercedes and when Vickers refused to sell out Mike took early retirement concentrating on consultancy and teaching design engineering at Loughborough University for 14 years until 2008. During this time he worked for four years with BMW on the R-R Phantom project. Many congratulations to all concerned with this exciting development in the story of Alvis and their people. I wish success to you all as you move forward with your important work of preserving our branch of motoring heritage.